Katy Massey grew up in Leeds in the 1970s and early 1980s before attending boarding school in North Yorkshire. 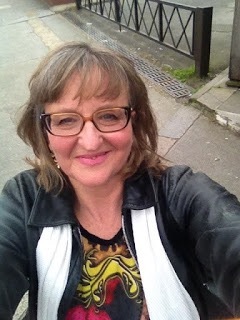 After university, she moved to London and eventually worked as a freelance financial journalist, writing short fiction and memoir in her spare time. In her late 30s she returned to education, a journey which culminated in a self-funded PhD in Creative Writing from the University of Newcastle in 2010. The PhD allowed her write her own family’s complicated story, while researching memoir and discovering why the lives of some groups of people are much less likely to be recorded, and lauded, than others. So now, alongside her own writing, she organises and raises funding for writing workshops and publishing projects which aim to give marginalised or ignored people a voice. 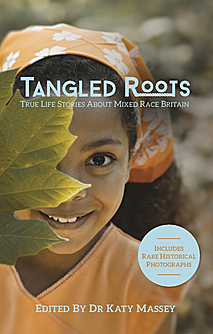 These have included Tangled Roots – a unique anthology of memoir by more than 30 members of mixed race families, which also included a live literature tour and portraiture exhibition. ‘Who are we now?’ is a collection of memoir responses to the Brexit referendum and a post-European future a free download is available on the website. Recently, a piece of Katy’s autobiographical work has was accepted by Unbound publishers for the Kit De Waal’s edited collection Common People. She is also working on The Cleansing, a novel imagining post-Grenfell London after a large-scale attack. The phenomenal growth of the the UK’s mixed population is one of the most significant social trends of the 21st century. Yet precisely how this social revolution has occurred remains something of a mystery. So Tangled Roots asked five leading writers – Diana Evans, Bernardine Evaristo MBE, Sarfraz Manzoor, Hannah Lowe and Charlotte Williams - along with 25 writers from UK mixed families to write about their lives. The result is a shockingly honest, funny and heart-breaking collection of memoirs which reveal the human stories behind the massive success of ‘mixed Britannia’. Greenacre Writers is very pleased to welcome Jayne Saul Paterson and Katy Massey in converstion. Jayne devised the questions for Katy to answer. We wish Katy every success with this very important and needed text. What was your primary motive for bringing the stories of mixed raced writers together into the book Tangled Roots? I had the idea from talking to friends that mixed people (as well as those who grow up in mixed families or have parented one) had many experiences in common, but I couldn’t find a book that described these shared experiences. I then went back to university to study for a PhD in memoir and autobiography, and I found that this is because there are very few accounts of mixed lives published within these genres. So, I decided to bring as many real-life stories together as I could in a single anthology, so that current and future generations can better understand, and gain an historical perspective of, their experiences. The result is Tangled Roots. It is an unusual anthology with its historical pictures and mix of work by both renown authors and amateur writers. This is because I wanted the book to reflect the resilience and diversity of the UK’s mixed population as closely as possible. The book was published in 2015, what sort of reactions and responses have you had to the book ? The response to the book has been overwhelmingly positive, with many readers telling me that though they found all the stories interesting, there are one or two that resonated particularly deeply for them. I am always happy to hear this! 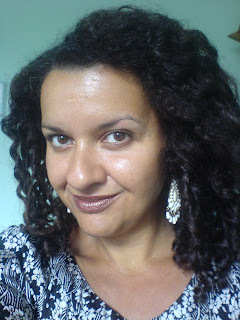 One of the mixed race writers, struggles outside of writing to describe herself in racial terms, and this is a theme for many of us, including the need to authenticate or align ourselves with our ‘blackness’; - do you think it is important for mixed race individuals to choose their own ways of describing themselves, rather than accept typical labels given to them and to embrace their individuality and why do you think writing is an important medium for this? I think it is important for mixed people to do what they want to, and to resist pressure to do, or say, or identify with anything which does not feel authentic to them. One important factor informing Tangled Rootsis the sheer range and diversity of mixed people and how people choose to self-define. For some this is a racial description – they are Nigerian-British, or Anglo-Indian for others it is a metaphor, like Robert Ippolito’s piece where he sees himself as a ‘bridge’ between his various racial, geographical and cultural influences. I think writing could be important because it allows exactly this sort of imaginative leap – but there are visual artists producing mixed race art too. In fact, across the arts there are many writers, performers, and makers who ponder the limits of assigned identity and the possibilities of creating new ones. I see Tangled Rootsas contributing to that stream of thought. In your introduction to the book, subtitled ‘Tinting the gene pool’ you talk about how the writers of the book, ‘insist on their notion of here-ness, the situated-ness of their lives’ – why do you think this is important in the current social and political climate of modern day Britain? Part of the point of Tangled Roots is to record how well-established mixed people and mixed relationships are within British society. Areas of the UK such as Tiger Bay in Cardiff, or parts of Liverpool and Bristol have been mixed for hundreds of years. We are not a sudden phenomenon. Though we are now the fastest growing ethnic group in the country, this has come from a long history: of resilience on the part of minority populations, and increasing tolerance in the majority population, a combination of factors which have developed over centuries, and demonstrated in political and legal human rights legislation over the past 50 years. This is a proud history that current populist and right-wing strands of political thought seek to erase or ignore. Instead, they favour peddling an anti-immigrant, anti-other narratives of ‘arrival’ and ‘take over’ which is designed to stoke fear and resentment, and is in danger of damaging the carefully woven fabric of British society. In a previous interview you mention how you are ‘tired of all the angst and stress coming from editors and publishers in the industry as well as the characters in … books. We have a sense of humour too!’ Can you mention a few of the writers in the book who really bring out this sense of humour in writing their own stories. All of the pieces in Tangled Rootstreat the idea of different races inter-marrying and having intimate relationships as a completely normal, everyday experience, even when the community surrounding the couple or the mixed person disapproves. This is important, as anxieties about racial mixing are still bubbling away under the surface of our society, and mixed characters in fiction are still often portrayed as confused outcasts, leading to the ‘angst’ I refer to above. A sense of humour is a personal, subject thing, but for me, I am always looking for a sideways, ironic way of looking at the world in the writing I enjoy. I would refer readers to Robert’s piece mentioned above, but also ‘American Coat’ and ‘Auntie’. with a lightness of touch which is rare in mainstream publishing. Apart from the writers who feature in the book, which other writers from a mixed race background, would you recommend either in the UK or from outside the UK? I can only comment on the UK literary scene, I’m afraid, and the renown authors in Tangled Rootswere chosen precisely because there are so few writers of mixed heritage covering this ground. In fact writers of non-mixed heritage writing about mixture would be fantastic too! It is important not to confuse a writer’s biographical information with their work – which may take on quite different subject matter. The story of mixture belongs not only to mixed people but their parents and friends and family too – who may be ‘mono-cultural’. 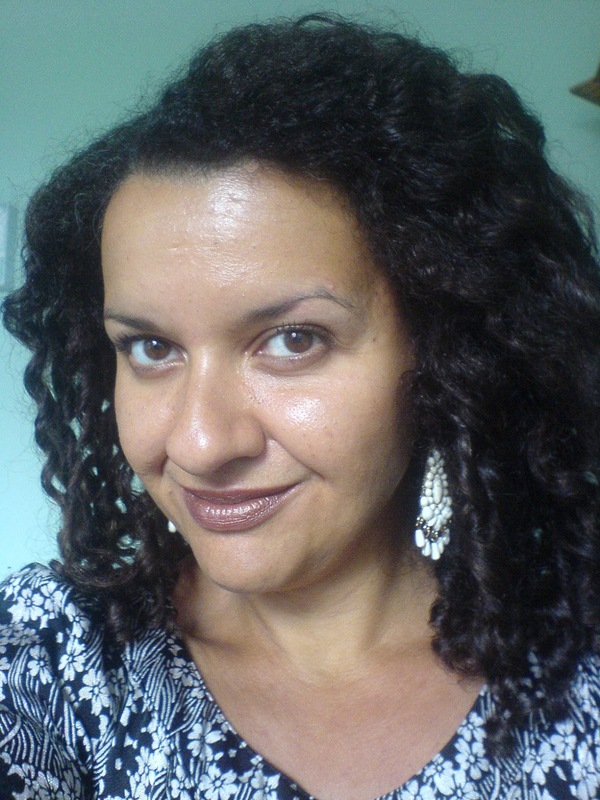 Outside of the writers featured in Tangled Roots, there is of course, Andrea Levy, much of whose oeuvre explores the experience of Caribbean settlement and integration in the UK. And Dorothy Koomson, another of the few regularly published female novelists of colour in the UK, writes popular novels which feature multi-racial casts of characters (The Ice Cream Girlswas adapted into a TV drama) though she is not mixed-race herself as far as I know. And I am sure your readers know the work of Zadie Smith – and if you have previously stuck to her novels, I recommend her essays, which are particularly acute. So, although they are featured in Tangled Roots, I would say the best place for readers to start would be the work of Hannah Lowe (particularly her poetry collections and Long Time No See, her memoir) and Diana Evans’ 26a– a masterful study of a mixed family in London in the 1970s and 1980s. Similarly, if readers are unfamiliar with the books written by Bernardine Evaristo, her novel Blonde Rootshas exactly the quirky sense of humour I refer to in the quote above and which is so rare in this field. Thanks to Katy for the review copy. Every muscle in Jamal’s body shakes hard. His head spins; the smell of nutmeg wafting in the air amid the taste of blood in his mouth. Shivering on the ground, he’s lying there exhausted and wait until the spirits leave. The spirits visit him regularly. Every time they do, it makes Jamal ill. And drives people away. Nobody must touch him nor go near him. He has to live in a hut alone, outside the village compound. There was too much smoke. It didn’t tickle his nose any more, it was grabbing at his throat, squeezing the air into his stomach in wrenching coughs. 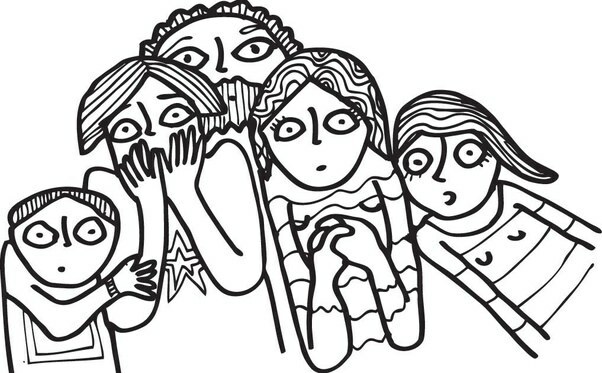 He was choking, gasping acid breaths till suddenly his ears were bursting with noise. He fell to the ground, his blanket slipping across his twitching body, hiding his face under the heavy cloth. That was when the pick-up drove past. Until one day after light he hears no sound but the yellow smoke that has caught him off guard. Then the spirits send him unconscious and the people in the pick-up decide to leave him there. 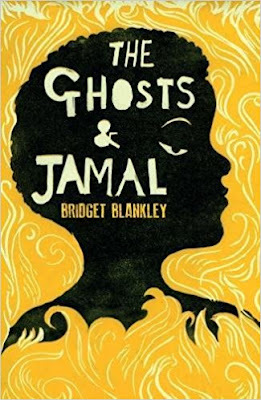 An orphan’s tale with epilepsy is at the heart of Bridget Blankley’s enthralling tale in The Ghosts and Jamal. Set in Nigeria, it follows Blankley’s protagonist’s quest of making sense of the disorder and ‘the ghosts’ that wipe out his entire tribe. A sole survivor of a gas attack, Jamal’s adventure is harrowing from the onset but heart rendering; his courageous voice is wrapped in bitter sweet experiences throughout. Blankley wastes no time in dwelling into the social stigma and the social exclusion resulted from epilepsy; through Jamal’s eyes she’s encouraging a sensible narrative in the Young Adult genre that challenges the common perceptions to people living with such a treatable condition. Her sensitive elaborations about disability strike the right cord that go beyond words. Moreover, her well-balanced plot ensures that issues surrounding epilepsy remain the main focus towards the end. Sometimes they put their hands under the tent and wiped him with cold cloths. Sometimes they put a small stick in his mouth and told him not to bite it. He thought that strange. Only babies bite sticks and he wasn’t a baby. They brought him food and water to drink and sometimes a very small drink in a very small cup. He didn’t like the small drink- it made him very sleepy – but he liked the other things they brought him so he took the small drink when they gave it to him and he didn’t complain. Her flagging support on the matter carries weight possibly from having Asperger’s Syndrome herself. She’s an old hand in the art of expressing very little about oneself for fear of being judged and misunderstood. Her evocative words echo farther than the walls of the hospital that brings a brief respite to Jamal and the minor characters that colour the man-child in him seeking answers. Nevertheless, Jamal is unable to stay there for long. The idea that he wouldn’t be able to track ‘the ghosts in the red canister’ once he lives in the confinement of an orphanage sets him up for an escape. Being oblivious to the dangers awaiting him ahead, Jamal plunges himself back to the circumstances he has miraculously escaped from in the first place. Blankley’s choice of setting is arguably arresting; a Muslim boy caught up in an ongoing violent conflict reverberate the unfortunate reality of millions of children nowadays being in a similar situation in other countries. Particularly their small voices that are usually forgotten in books of the post-colonial genre. Having grown up in the sixties in Southern Nigeria, Blankley is apt at capturing the discernible beauty of the country’s landscape. Yet her awareness about the tangled mess concerning the tensions between of the north and the south might not be as extensive as her understanding about disability. On the one hand, she has an outstanding impartiality in tackling terrorism. On the other hand, the so-called terrorism that involve a religious-based ideology with a demand of independence for the north is much more than meets the eye. The latter point is reflected in Jamal’s little comprehension about the attack; his naivety bears empathy but may cloud the message Blankley has wished to convey to the Young Adult readers. By the same token, whilst it’s palpable that children, regardless their faiths, are unfairly displaced because of acts of terrorism, the imposing issue concerning to which side Jamalshould belong is only being discussed in the penultimate chapters. ‘I need to think about what’s right,’ said Jamal. That wasn’t a choice, Jamal thought. That wasn’t a choice at all. This madman wanted him to die and Jamal didn’t want that at all. Can he make the right decision for himself? There ought to be more than a cliffhanger ending when Jamal’s life seemed to have turned for the better. 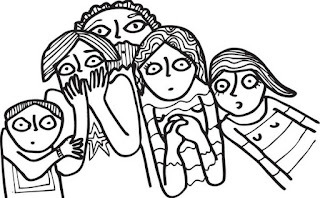 Do we have to wait for the next book to find out what happens to Jamal? Thank you Bridget Blankley and Hope Road Publishing for the review copy. What keeps the pace of a novel going? Are there writing techniques and aspects of craft that can be learned to improve these things or add them to a narrative? What is a successfully paced narrative? These questions - and no doubt a few more - are the starting point for Greenacre Writers midsummer workshop on 30th June. Led by Josie Pearse of Pearse & Black, we’ll look at ways other writers have approached these issues and do some simple but satisfying writing exercises. We can also attempt some creative problem solving, so come prepared to discuss (not read) a passage you’re struggling with and run it by fellow writers. The workshop takes place Sat 30th June, 10.15am-2.00pm in Finchley, N12 0HU. COURSE NOW FULL!!!!! Josie Pearse runs the day-to-day operations of Pearse & Black. She lives in Barnet. She gained her PhD from Cardiff University with her thesis, Writing and Not Writing on the Cusp of Life and Fiction. Josie has taught creative writing for most of her life. She has been a writer in residence and has worked at all levels of skill. She runs a closed group which supports writers working on long projects and runs site-specific one-off workshops. She bases her approach simply on the principle that you learn to write by writing. And for a writer at any level of skill, the knowledge of your process – including what your block might be trying to tell you – will help you sustain the writing of a whole book. Josie helps each writer master his or her process. She has published two novels under a pseudonym and is working on a TV adaptation.